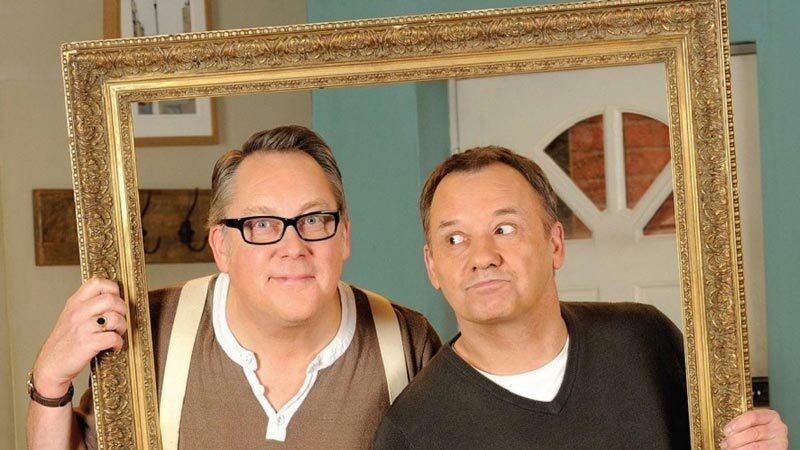 House of Fools, filmed and posted at dock10, is a sitcom written by and starring comedy legends Vic Reeves and Bob Mortimer. And just when you thought they couldn’t get any sillier…they do. In a mad cap show packed with guests, stunts, music and surrealist wit, the pair of housemates experience a series of anarchic adventures as uninvited lodgers and visitors cause chaos and disruption in their home. "I have to say that with Andy Kelly, Paul McGavin, Simon Bond and all the Gallowglass crew that I have had, I struck gold. Along with Tommy (Lyons) and all the prop crew, ditto! They are fantastic, hard-working, accommodating and I couldn't have wished for a better team of men. I am really happy to recommend them all to any other designer that comes to Salford to work in the studios." James Tomblin, Production Designer. "Just to say everyone was absolutely delighted by being at Salford…they loved the set up and the audiences and the facilities, so thanks so much for all your help in that." Mark Munro, Production Executive.